Many companies fall within the Department of Transportation required drug and alcohol testing rules and regulations. These include commercial drivers and well as other safety sensitive jobs. We are certified to perform DOT drug and alcohol testing. 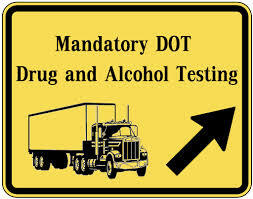 According to the DOT rules, there are 6 events that can trigger an employee to undergo a drug test. Call for an appointment Today (972) 539-6564!